paul gregutt's washington wine blog – unfined & unfiltered: are you, like the british, terrified of sommeliers? The clue is in the first paragraph above. The notion that you must “select the right wine” implies that most wines are wrong. Whether the wine list has a couple dozen or a couple thousand options, there’s just one that’s right. The rest are wrong. And if you order anything but the right wine, you will be mocked by one and all as an ignorant meathead. Or hounded by the local Basset into buying what the restaurant wants to sell you. Here’s the truth: THERE IS NO WRONG WINE! It doesn’t matter. You could throw a dart at the wine list and find something that would be acceptable. All you really need to do is survey your dinner companions as to whether they prefer white or red. If you have at least 4 people, order a bottle of each for Pete’s sake. The only other decision to make is how much you want to spend. Give yourself a price range per bottle. Select the number of bottles (hint: start with one). Choose white or red. Bingo. You are home free. Order something, anything, and enjoy it. I have started bringing my own favorites from home and pay the modest corking fee. Works for me. Well, I'll offer this: I have always had good experiences with sommeliers. I tell them generally what I'd like to spend and quickly describe what we might be having for dinner (in broad terms, like, "I'll be having one of your fish and my wife will be having the steak") and almost always they are able to suggest something that will be agreeable to everyone. Of course, if you're on a date, or a business meeting or something, perhaps you don't want to make it known what you want to spend. But I agree with your point. 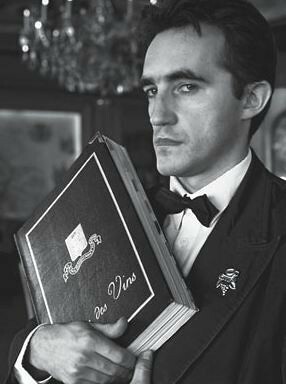 Most wines on a resto list will be fine, and it's better to just be decisive and order and get on with enjoying your meal! Chad, clearly you are not British!